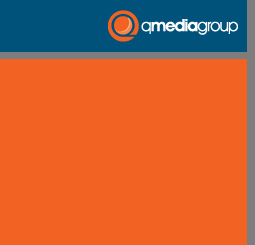 qmediagroup’s history in television dates back to the 80s and is still going strong. * Over 175 Kids Only (30 min children’s program) and 12 Kids Only specials on subjects including 'Life Education Centres', 'Tall Ships','The Grampians' and 'Bushfires' (awarded a Certificate of High Commendation by the CFA in 1989). In 1986, the Kids Only special on 'Summer Safety' won a Logie award for the 'Most Outstanding Contribution by a Regional Television Station'. qmediagroup also produced 14 documentaries for the National Nine network including 30 years of Falcon GT – The Legend and Ford Australia 75 years. Due to the huge popularity of The Car Show, qmediagroup was asked to develop a similar program featuring boats so The Boat Show was launched in 2003 and ran for 3 series. It was then reincarnated as The Boatique which has run for 2 series. Since 2003, qmediagroup has also produced a variety of 1 hour documentaries which have focussed on some of Australia’s major motor and water sport events including the 2006 Classic Adelaide, the Porsche Mt Buller Sprint and the 2008 Southern 80 Ski Race.